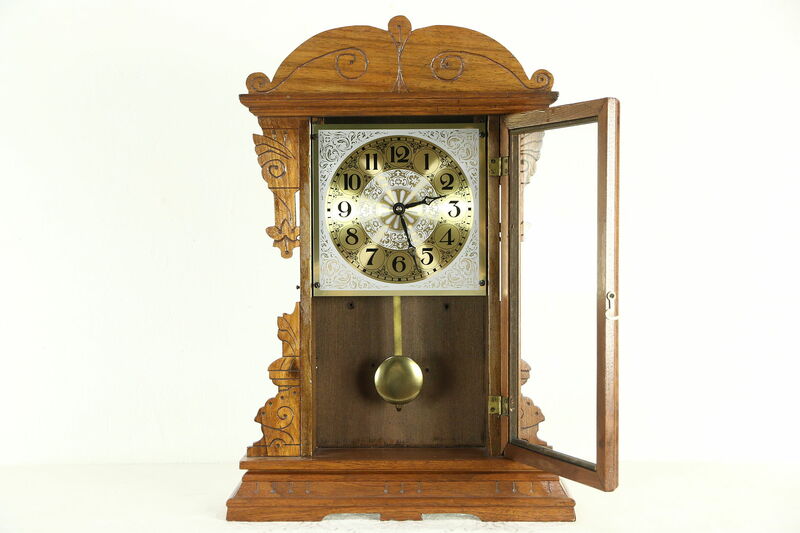 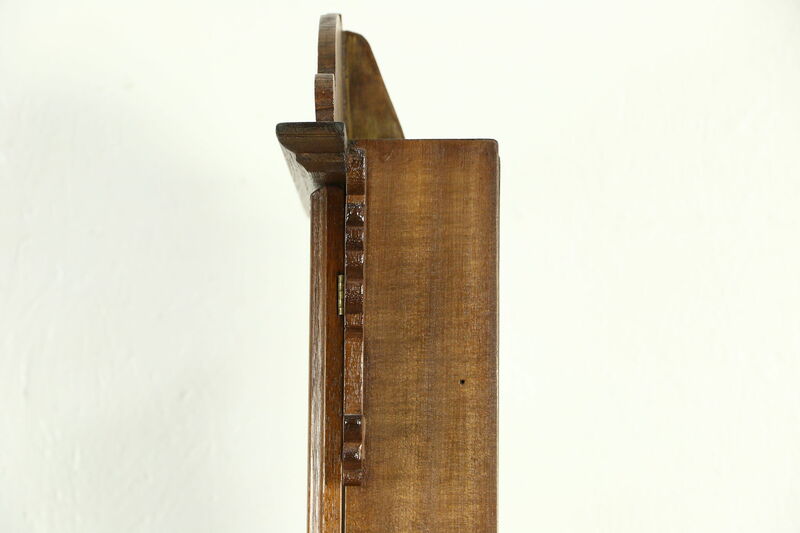 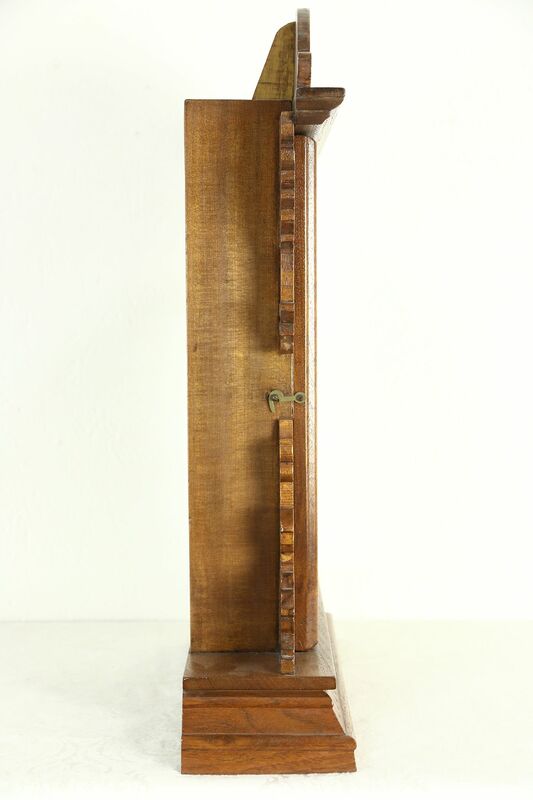 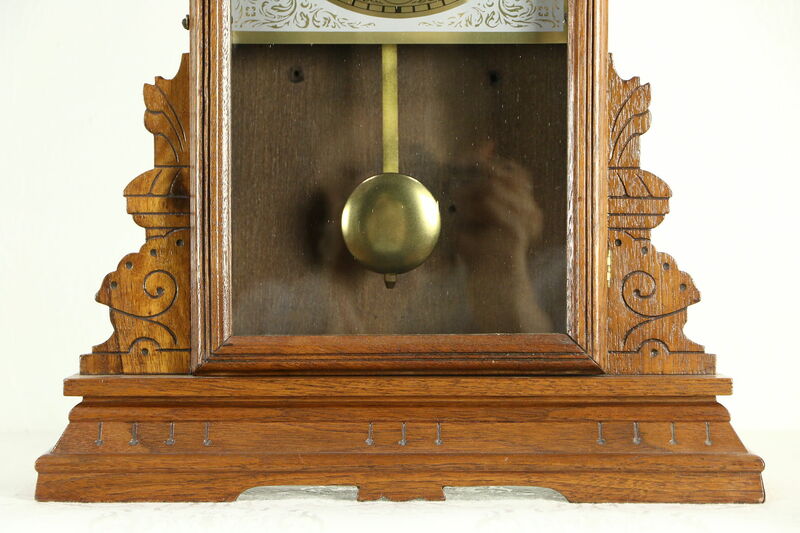 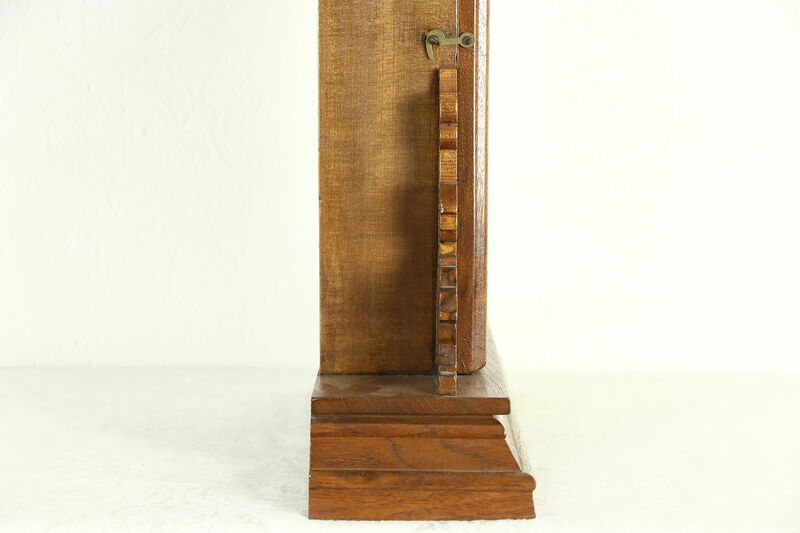 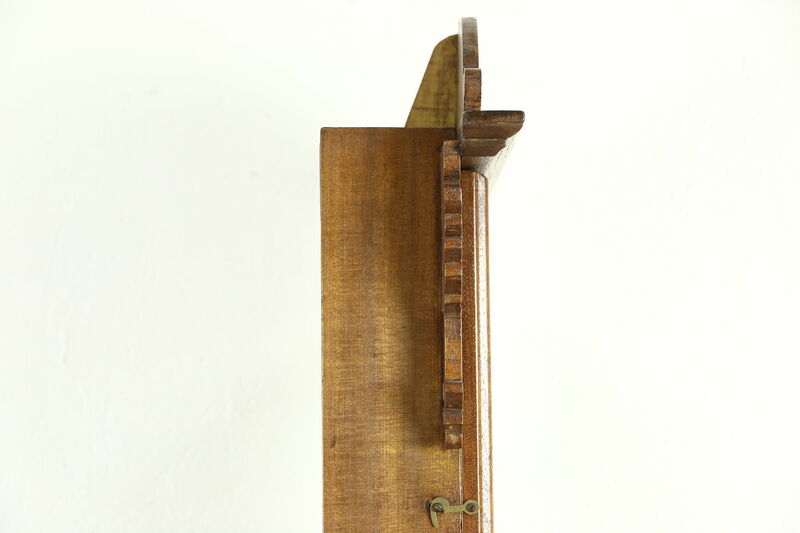 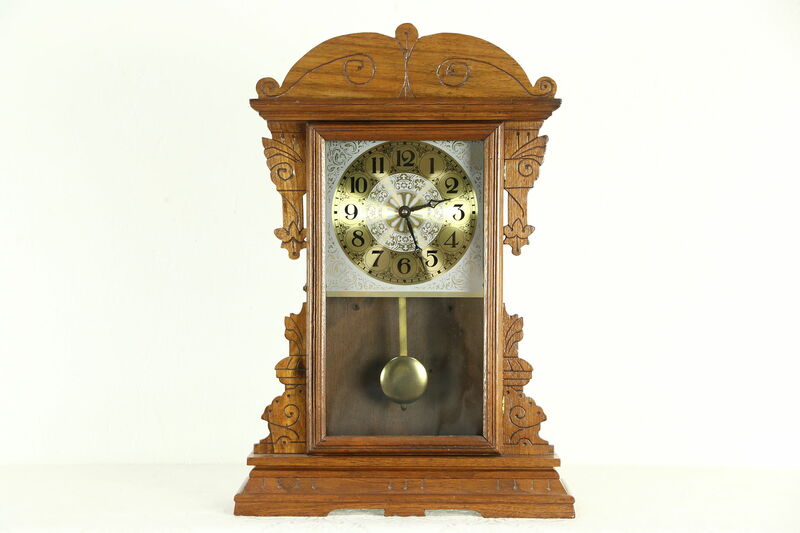 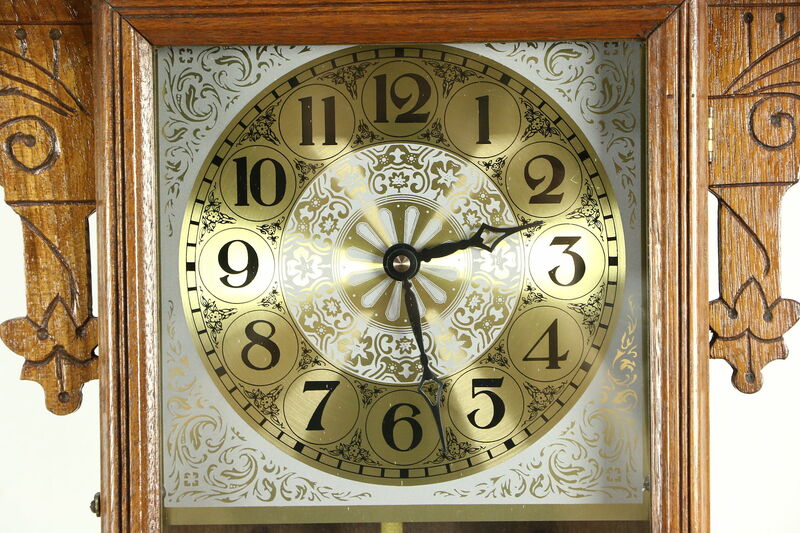 A late Victorian or Eastlake period mantel or shelf clock case from about 1890 has been fitted with a new dial and quartz battery movement with a working pendulum. 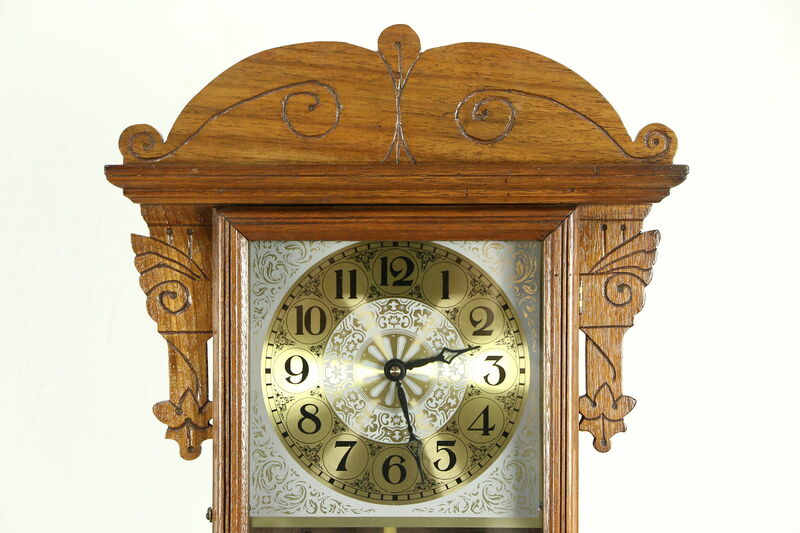 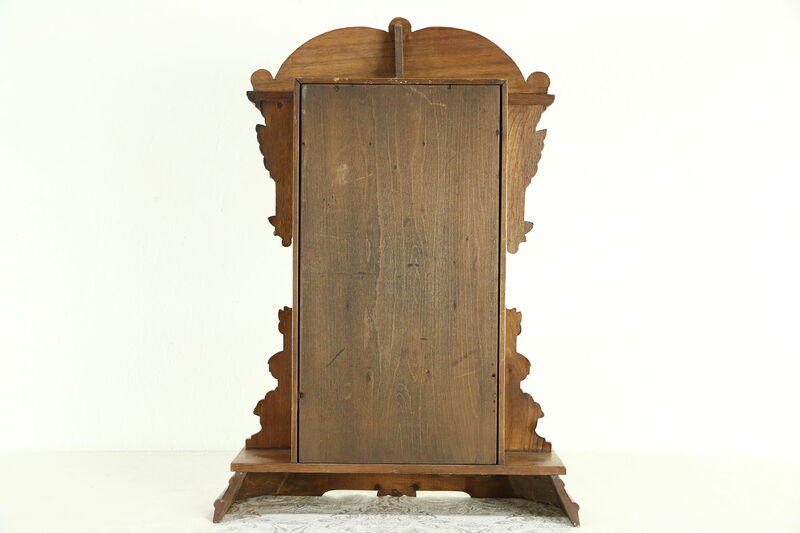 The solid walnut case has incised carving and a fine old finish on this American made antique. 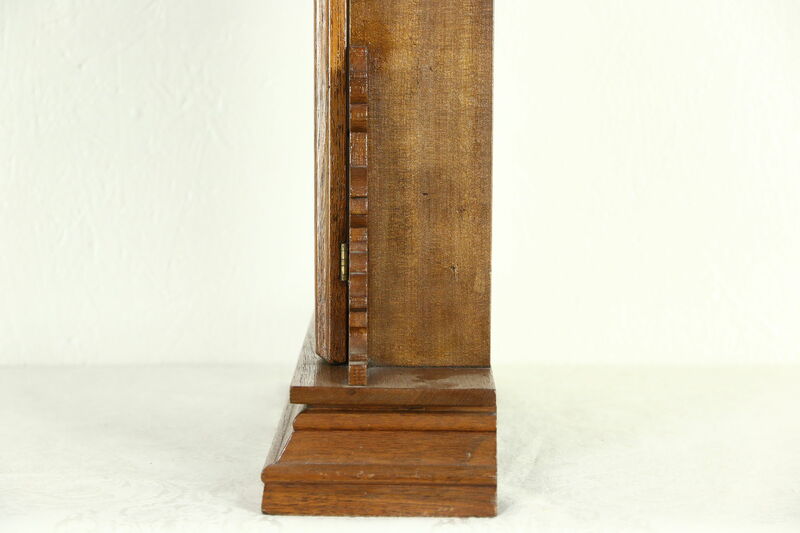 The door has original wavy glass. 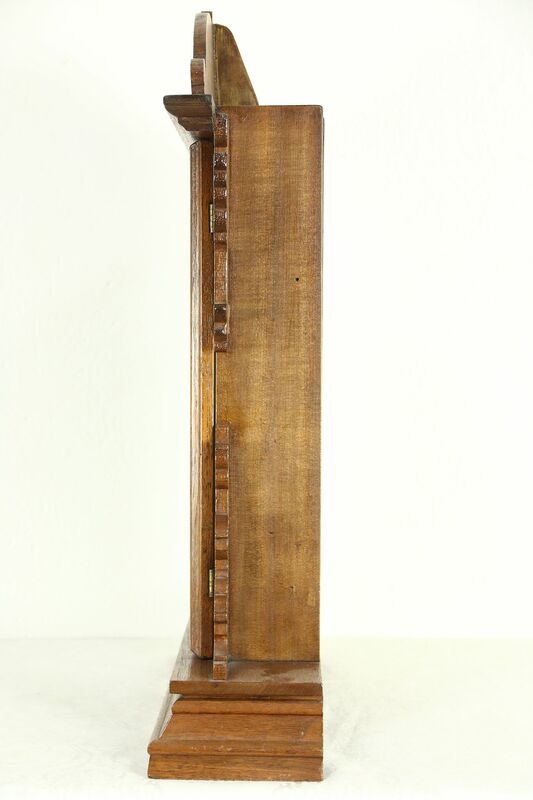 Dimensions are 14" wide, 5" deep and 21" tall.